Want to know how to quit smoking? Struggling to give up, and constantly tempted by one more cigarette? Believe it or not, there are plenty of iPhone and iPad apps that can help. What's the best way to quit smoking? Now there's a question - and one that will be asked at some point by a lot of smokers, who will be well aware of the side-effects. But the iPad and iPhone can help you give up the cigarettes, thanks to a range of apps, online services and books. All of which you can carry around with you. Getting facts on the effect of smoking is the best way to stop. Sure, there are 'stop smoking' cessation aids like tablets and kits, but the best way to kick the habit is to be armed with information and form a plan. The iPad and iPhone can help you put together, and stick to, a quitting smoking timeline. Stopping smoking has all kinds of health benefits, and smoking during pregnancy isn't an option, so some people just have to give up the cigs. But it isn't easy. Let's take a look at some of the most powerful smoking cessation aids on the iTunes Store. The official NHS Quit Smoking app (free) is a great start. It enables users to calculate the cost of smoking, and Notifications give daily reminders of how well you're doing. It's also packed with facts on the benefits of being smokefree. One of the most popular stop smoking apps on the store. Enter your personal details into My Last Cigarette (69p) and it forms a plan for you. It's a staticians dream with real-time data updates on how well you're doing alongside medical facts of smoking, life expectancy readouts, and daily motivational messages. While other apps focus on smoking cessation the Livestrong MyQuit Coach (free) app takes a more motivational approach. It forms a personalized quitting plan and provides you with inspirational photos, tips and progress charts. One for the early starters this app takes a slightly different approach that helps teens recognise smoking triggers and tracks cravings and moods. 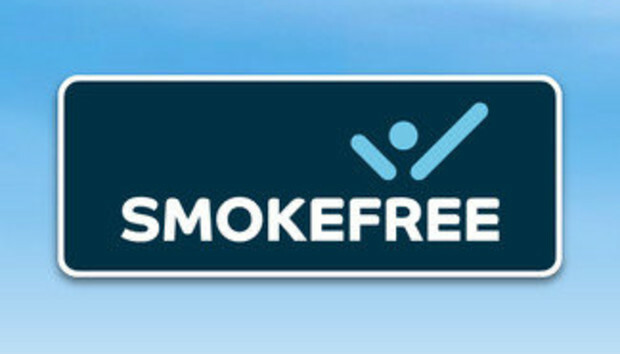 It also provides achievements and awards for staying smokefree. If positive messages don't do it for you then the NCI QuitPal (free) app from the National Cancer Institute might convince you of the health benefits of stopping smoking. Like other apps it forms a personal plan but keeps you up to date on your personal health improvements, and the amount of cash you've saved. This isn't a app but a website you can visit on your iPad (or iPhone) that'll quickly help you determine how many packs of cigarettes you smoke over a week, month, year and so on. It might help convince you of the financial benefits of stopping smoking. Unstoppable' is the Europe-wide campaign to celebrate the ex-smoker and this Ex Smokers app enables ex-smokers to share their achievements. The app itself is a coach to help you stop smoking over time, but it's the europe-wide Ex Smokers Facebook group that could provide the real inspiration. If you feel alone in wanting to stop smoking this app and group could really help you out. We know what you're thinking: "what... the comedian?" No not that Carr, this is Allen Carr one of the world's most reknowned experts on stopping smoking. His famous book walks people in painful detail through the psychological process of addiction, and provides no-scare methods to help people think their way through the process of giving up. There's no app, unfortunately, but the Easy Way To Stop Smoking (£6.95) audiobook in iTunes costs less than a pack of cigarettes and is well worth a listen.